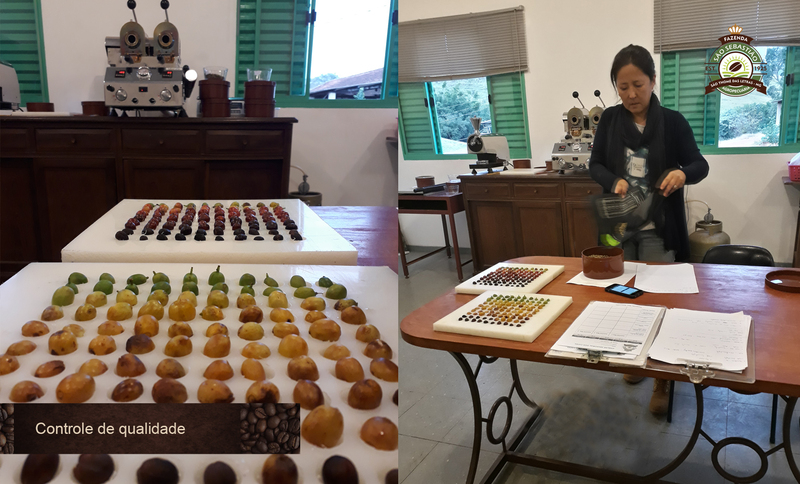 Fazenda São Sebastião was founded in 1925, passing through several owners until it was acquired by Mr. Jung Han Kim (Mr. Tomás) in 2012. 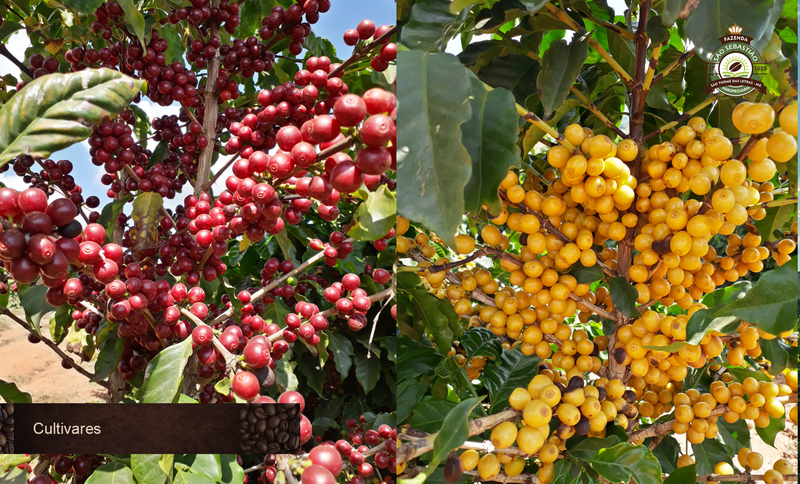 Since then, Jung has expanded the coffee areas on the farm with different cultivars and has constructed infrastructure for excellence in coffee processing and warehousing. 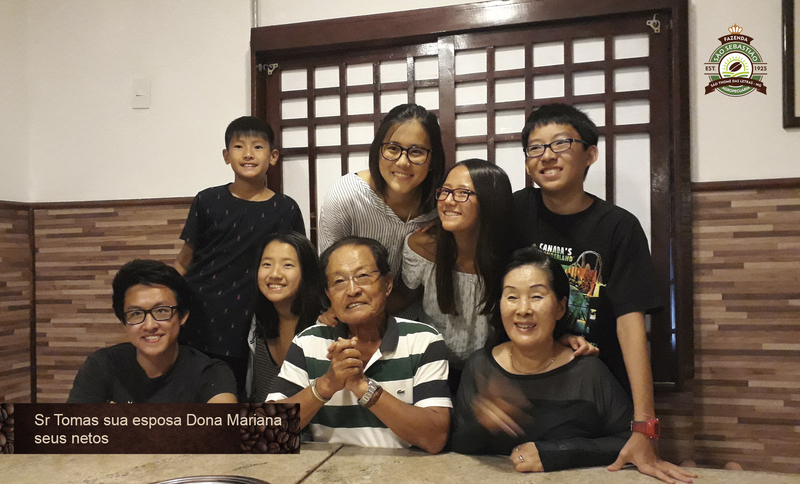 Mr. Tomás is a Korean immigrant who arrived in Brazil, at the port of Paranaguá in Paraná, in 1964 with his parents and siblings. At that time, his native land, South Korea, was going through a period of post-war recovery and there was intense emigration to other countries around the world. 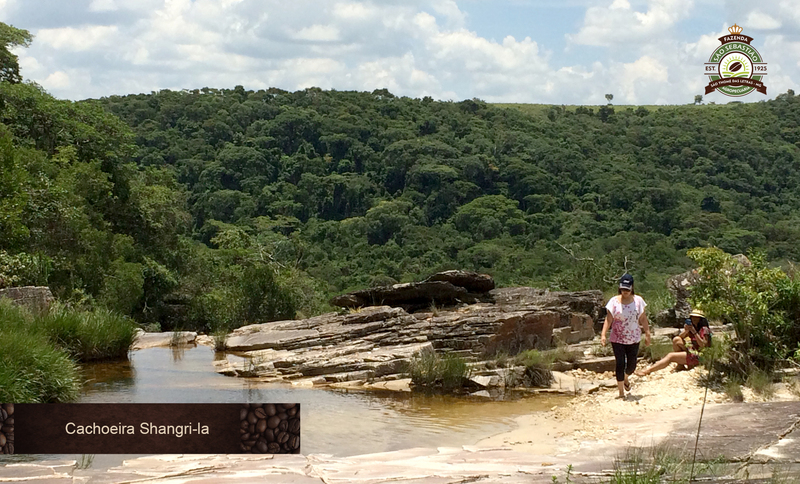 He chose Brazil because he heard that the land was vast and the food abundant and diverse. Since then, he has worked incessantly to sustain his family. As he was the eldest son, he was responsible for caring for those that came to Brazil. 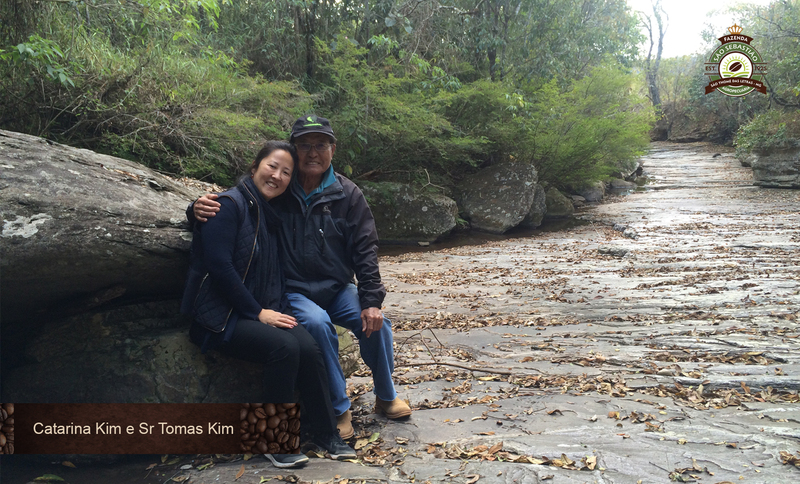 He settled in São Paulo and married Yong Ok Kim in 1969. They raised a family with five children and managed to be successful with a clothing factory in the Brás neighborhood. In the 80s, Mr. Tomás wanted to realize a dream of having a farm and being a rural producer. 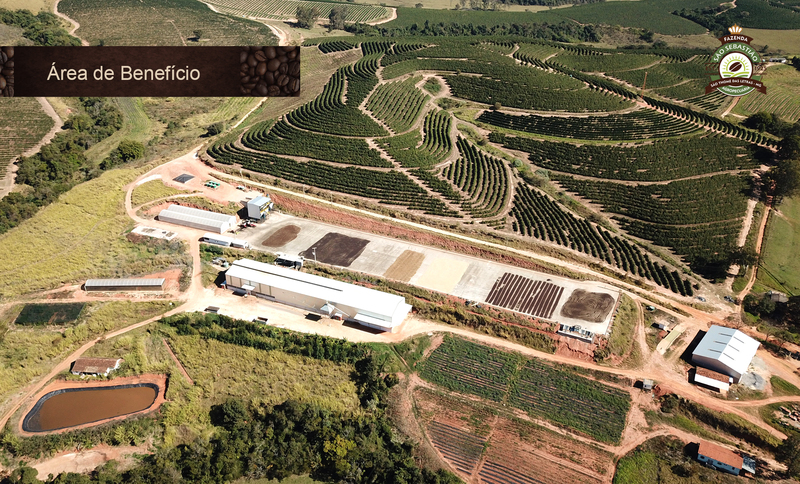 He bought a coffee farm in Paranavaí, near Londrina. 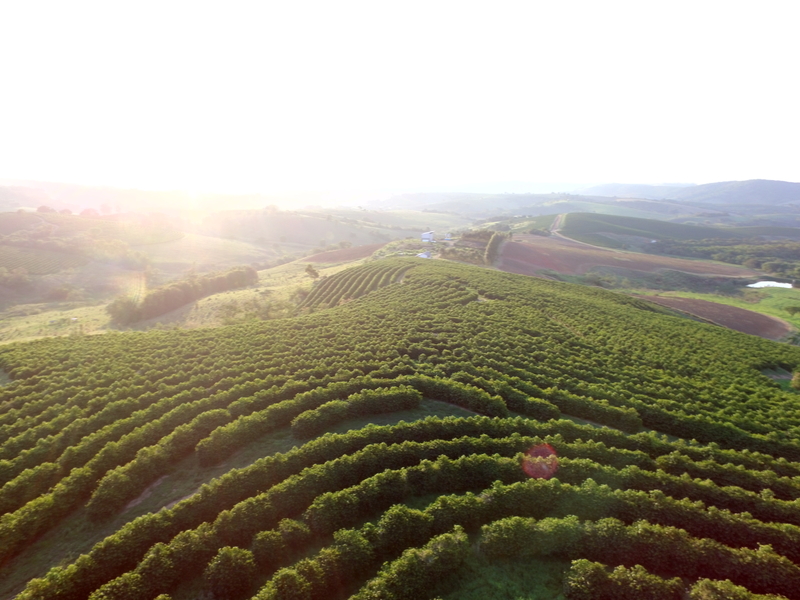 He recalls that he wasn’t able to run the farm well at the time as he did not command the Portuguese language and there was no Internet for him to learn more about coffee. After a few years, he gave up on the farm, but not on the dream. 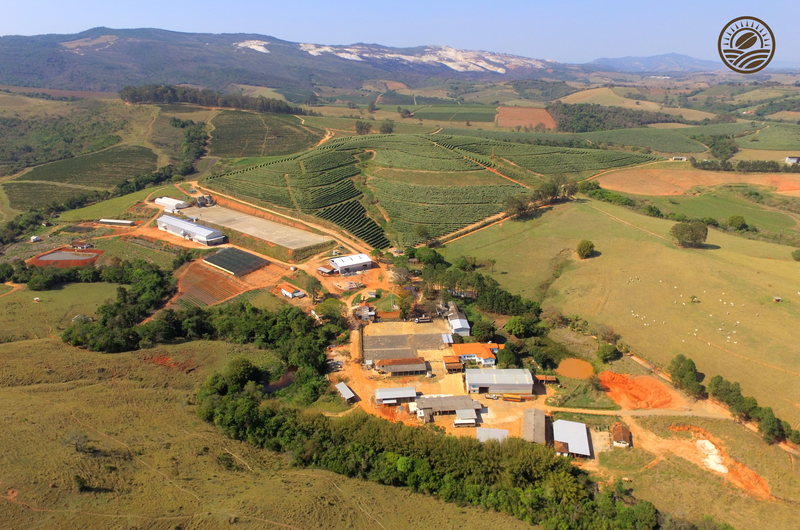 In 2012, at 71, he discovered Fazenda São Sebastião and transformed it into a reference farm in the region. At the time, there were 80 hectares of coffee. 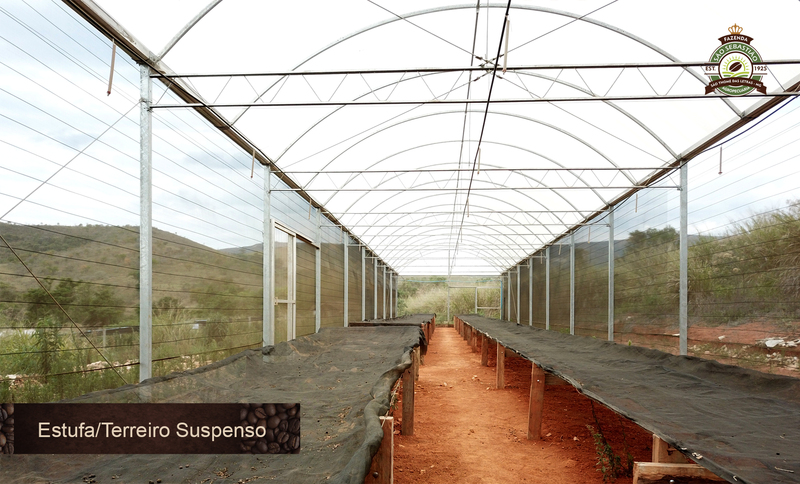 After this arrival, coffee fields were expanded to 342 hectares. 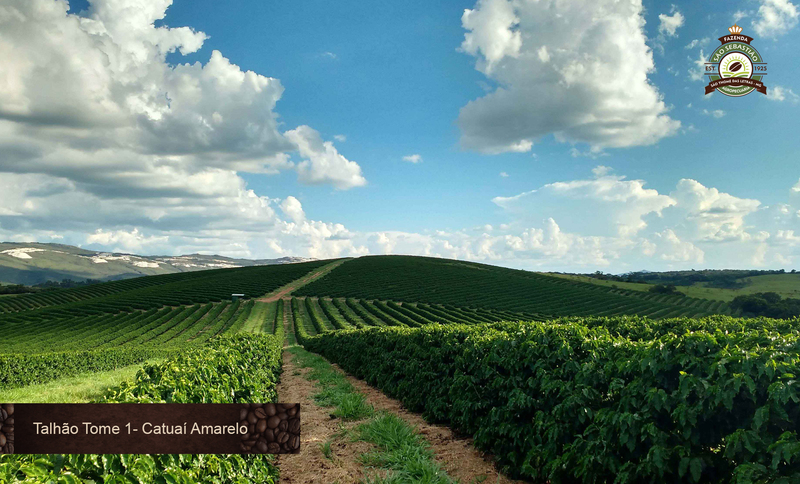 He planted around one and a half million coffee trees and has employed approximately 500 people since he acquired the property. 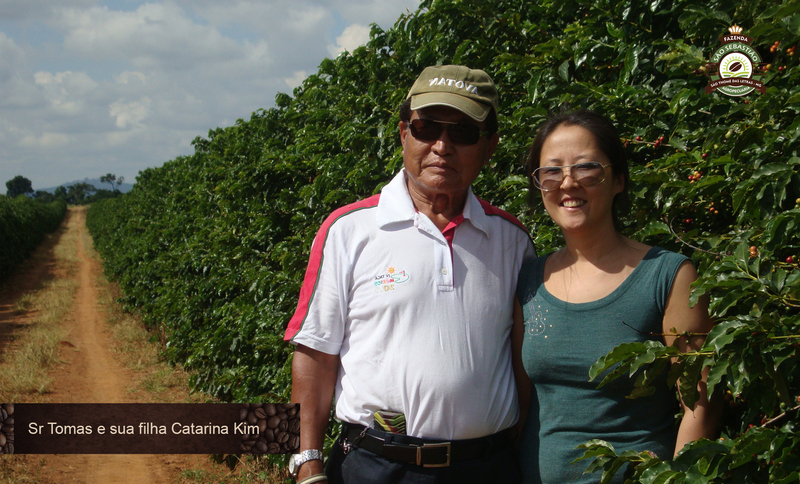 In 2017, the fourth of his five daughters, Catarina Kim, who is a psychologist and had worked as an elementary school teacher in São Paulo, became interested in coffee growing and came to help run the farm. 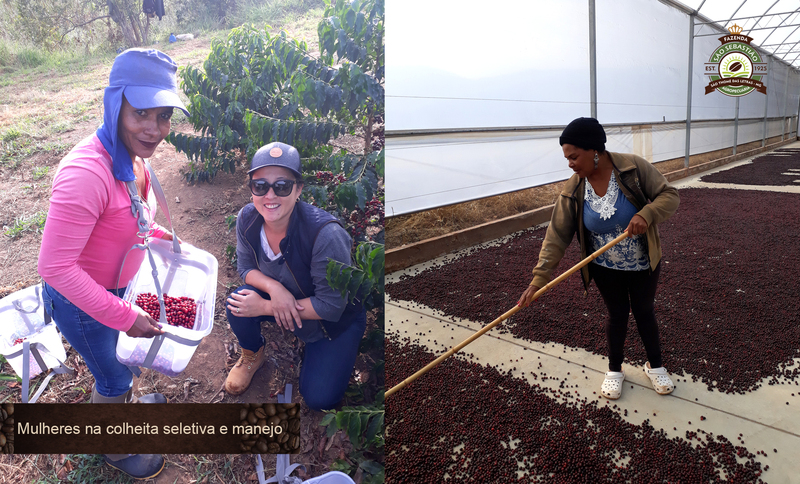 Catarina asked her father to accept her help and he gave her two conditions: she would need to work incessantly and learn a lot about coffee cultivation. In one year, she managed to take over the farm and earned the respect of the workers by showing that she had come to add to their efforts, for her interest in coffee and humility in learning about this captivating culture. 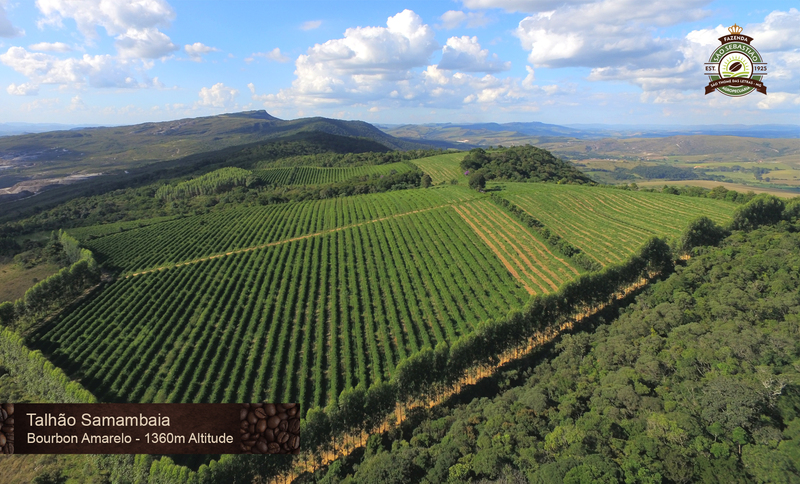 The coffee sent to the Cup of Excellence is a Yellow Bourbon grown at one of the highest areas of the farm, at 1360 m.a.s.l. The coffee was hand-picked selectively. 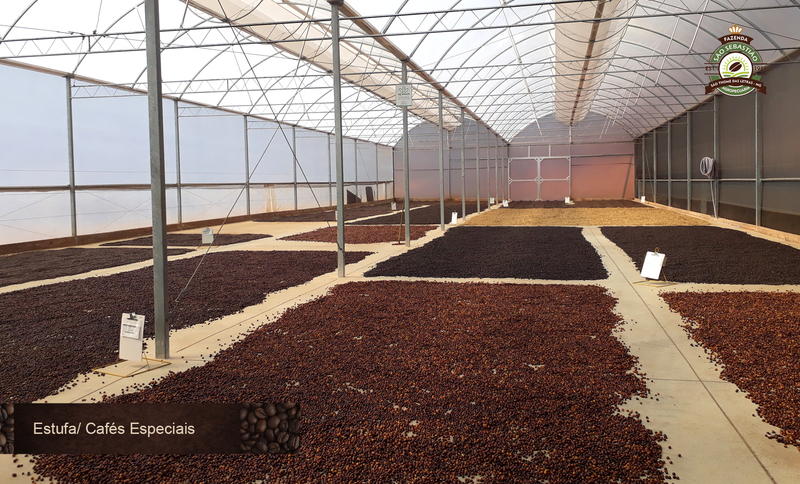 Then the natural coffee was placed on African beds in a greenhouse where it dried slowly for around 1 month and 20 days. 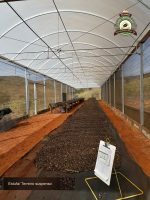 In the greenhouse, the temperature of the coffee was monitored throughout the day and raked when the mass reached 35 to 40°C. During processing, hygiene was closely monitored by the team. 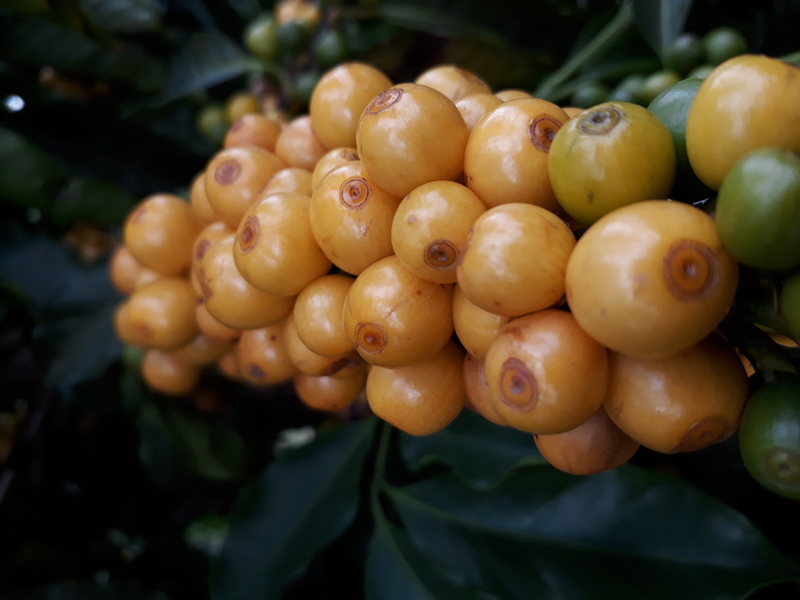 After the harvest, in mid-September, the far was audited by UTZ e Rainforest Alliance. The farm is in its second year of this first certification and is being certified by RAS for the first time this year. 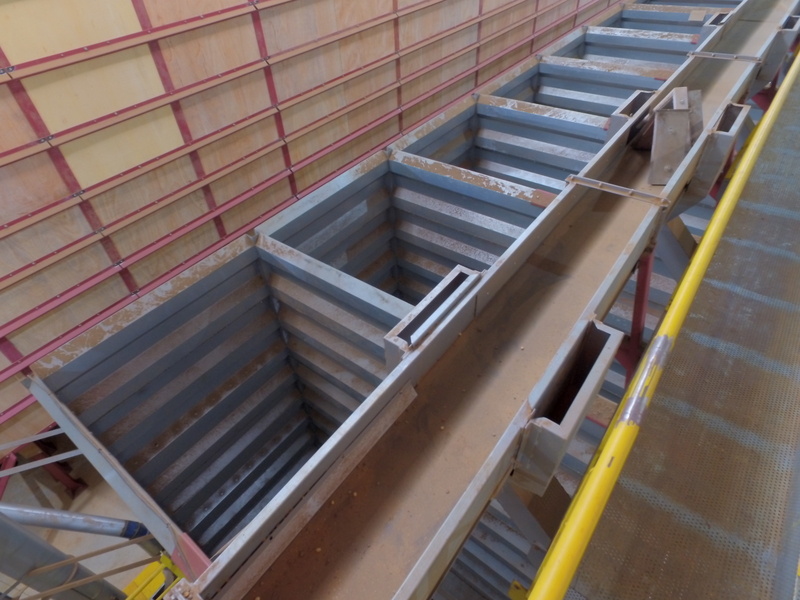 Two documents still need to be delivered, which will be done in the beginning of October. 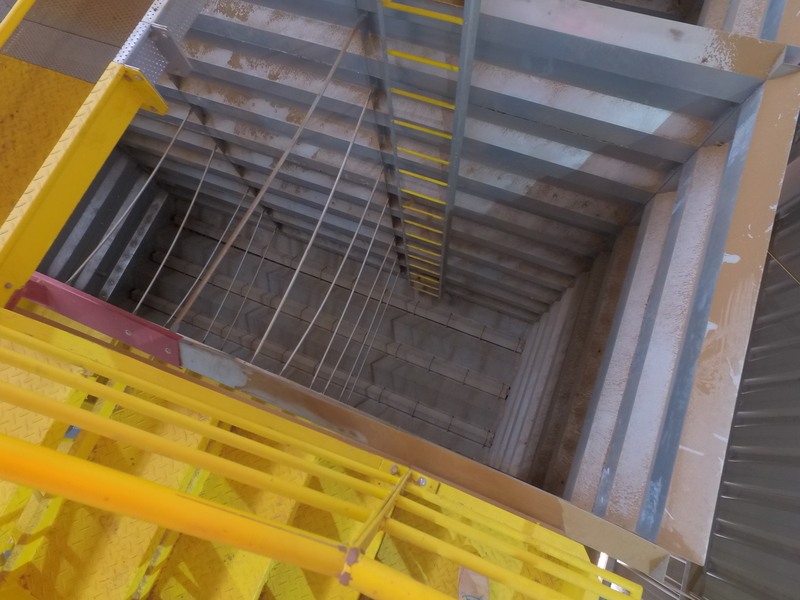 Thus the farm will renew UTZ and obtain RAS certification as it passed through the entire process individually. 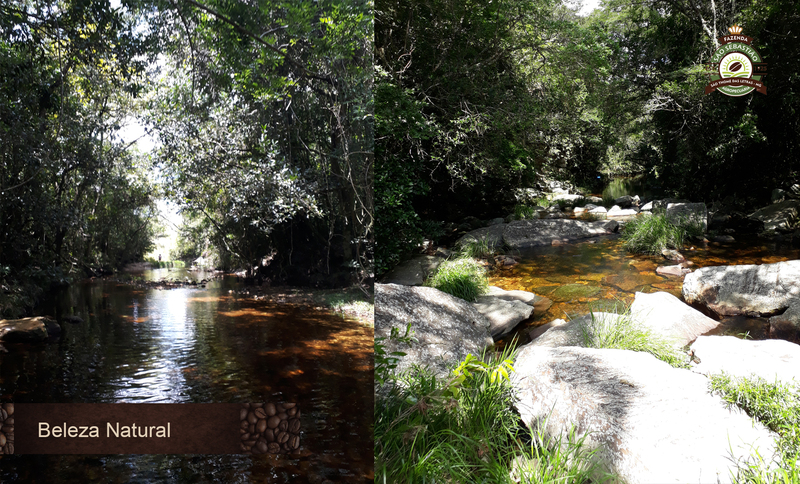 One of the reasons Mr. Tomás acquired Fazenda São Sebastião is that is has 34 springs, a waterfall (Shangri-La) and an extensive area of pristine forest. As part of the certification program, the farm team replanted around 5 thousand native trees in 2017 and 2018 and they have been carrying out a project to protect the areas around the springs. 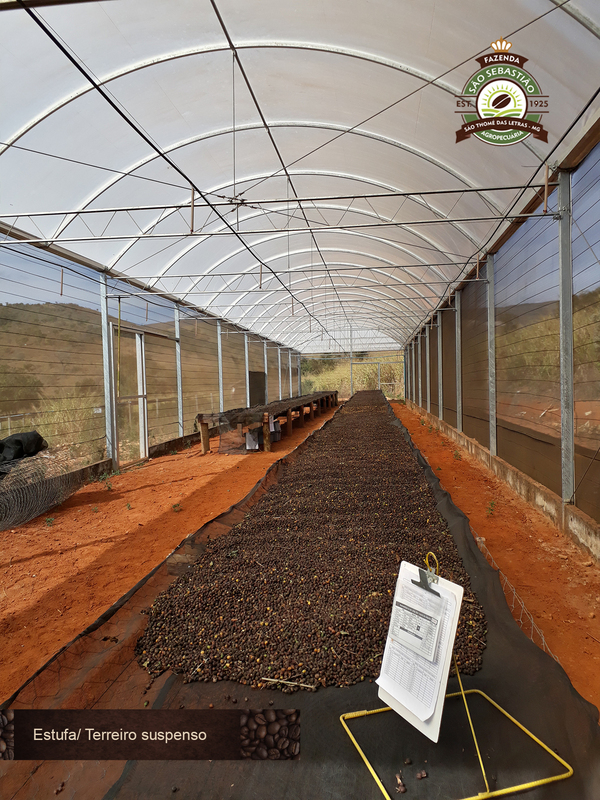 In addition to respecting and valuing the nature that was already on the property before the new owner arrived, Mr. Tomás is also concerned with excellence in processing his coffees. He invested in post-harvest infrastructure with a washer, mechanical dryers, concrete patios, two greenhouses and a tank for wastewater from the washer. 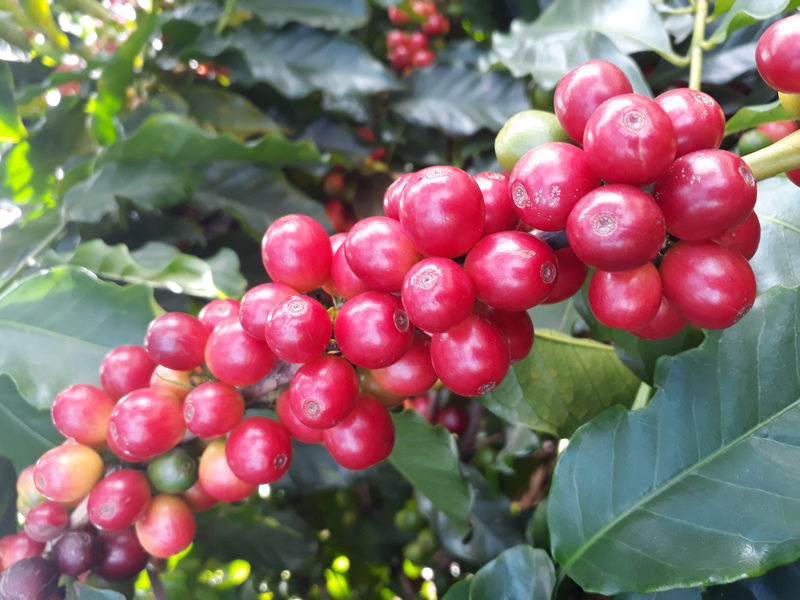 Quality during management of the coffee has always been a goal and the farm has achieved new levels with the Catarina Kim’s Q-Processing certification. 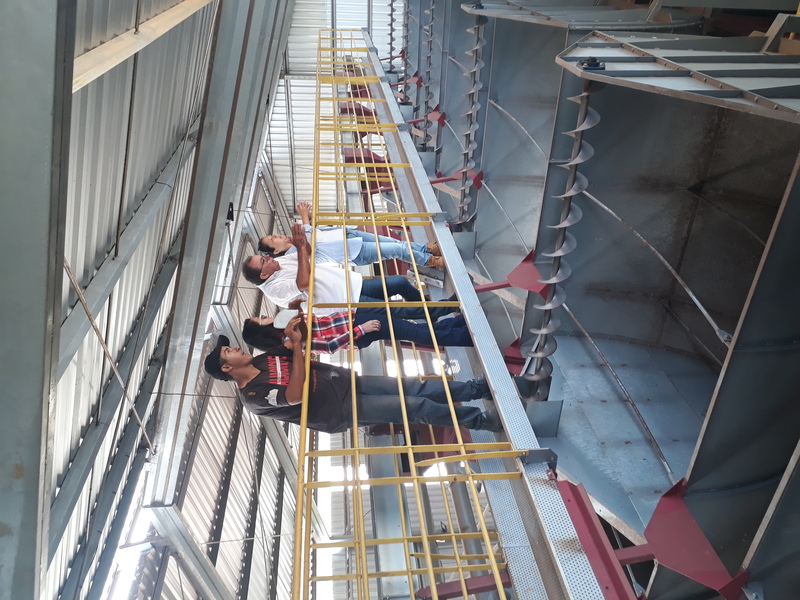 She took the course at the beginning of the harvest in Espírito Santo do Pinhal with processors Emilio Lopez and Roberto Pacas from El Salvador and can put into practice all of the coffee processing guidelines and care and she learned during the intense week-long course.